So much to see…so little time. With a multitude of outstanding attractions, events, tours, shopping, restaurants and live entertainment, it’s hard to fit everything into a single visit. Country Music: Many popular tourist sites involve country music, including the Country Music Hall of Fame, Ryman Auditorium, which was for many years the site of the Grand Ole Opry, and Belcourt Theater. Each year, the CMA Music Festival (formerly known as Fan Fair) brings thousands of country fans to the city. Nashville was once home of television shows like Hee Haw, and Pop! Goes the Country. Nashville was once home to the Opryland USA theme park, which operated from 1972 to 1997 before being closed by its owners Gaylord Entertainment, and soon after demolished to make room for the Opry Mills mega-shopping mall. Lower Broadway and Printer’s Alley are home to many honky tonk bars and clubs. Nashville History: Nashville was founded by James Robertson, John Donelson, and a party of Wataugans in 1779, and was originally called Fort Nashborough, after the American Revolutionary War hero Francis Nash. Nashville quickly grew because of its prime location, accessibility as a river port, and its later status as a major railroad center. In 1806, Nashville was incorporated as a city and became the county seat of Davidson County, Tennessee. 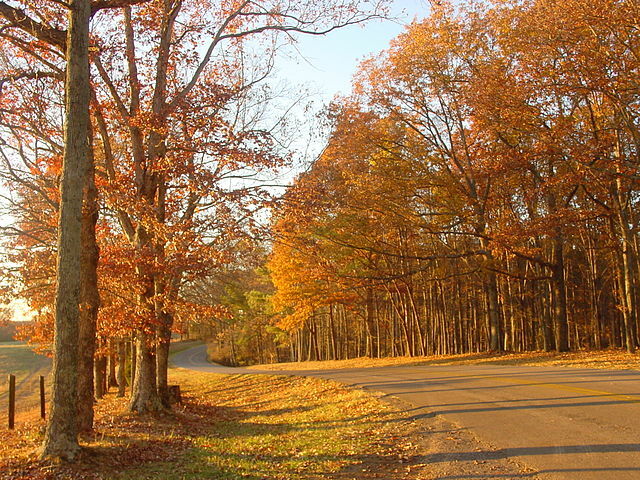 In 1843, the city was named the permanent capital of the state of Tennessee. It was the advent of the Grand Ole Opry in 1925, combined with an already thriving publishing industry, that positioned it to become “Music City USA”. 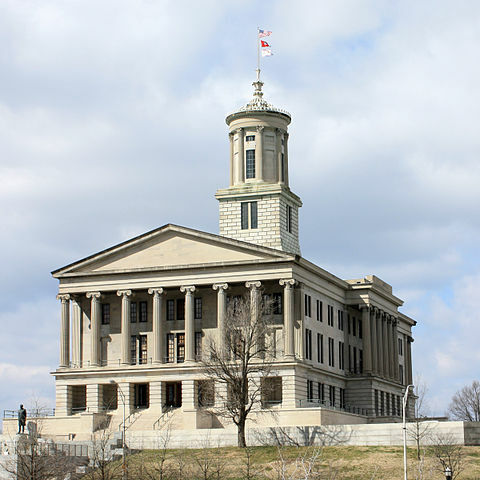 In 1963, Nashville consolidated its government with Davidson County and thus became the first major city in the United States to form a metropolitan government. 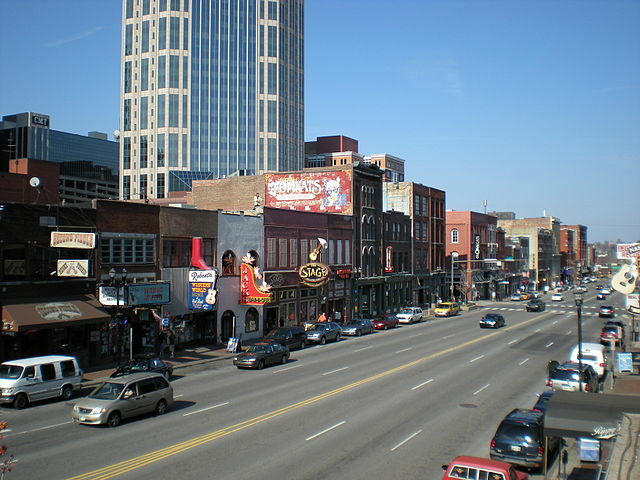 Since the 1970s, the city has experienced tremendous growth, particularly during the economic boom of the 1990s under the leadership of Mayor (now-Tennessee Governor) Phil Bredesen, who made urban renewal a priority, and fostered the construction or renovation of several city landmarks, including the Country Music Hall of Fame, the Nashville Public Library downtown, the Sommet Center, and LP Field. The Sommet Center (formerly Nashville Arena and Gaylord Entertainment Center) was built as both a large concert facility and as an enticement to lure either a National Basketball Association or National Hockey League (NHL) sports franchise. This was accomplished in 1997 when Nashville was awarded an NHL expansion team which was subsequently named the Nashville Predators. LP Field (formerly Adelphia Coliseum) was built after the National Football League’s (NFL) Houston Oilers agreed to move to the city in 1995. The NFL debuted in Nashville in 1998 at Vanderbilt Stadium, and LP Field opened in the summer of 1999. The Oilers changed their name to the Tennessee Titans and saw a season culminate in the Music City Miracle and a close Super Bowl game. Today the city along the Cumberland River is a crossroads of American culture, and one of the fastest-growing areas of the Upper South. There are many areas of town to explore while visiting Nashville. Each neighborhood has its own personality, projecting the nature of people who frequent them. Some are quiet and reserved while others are hip and boisterous. They all suit their surroundings and welcome all walks of life. Not far from downtown, antique stores line both sides of Eighth Avenue South. A collector’s haven, the area has become known as a premier antiques district. Monthly, a local auction house in the center of the district at Douglas Corner opens its doors for one night of auctioning mayhem to a standing room only crowd. Many diners converge on Eighth Avenue for Southern cooking at Arnold’s Country Kitchen. Open for breakfast and lunch, Arnold’s serves some of the very best of Nashville’s indigenous cuisine. Called a meat-and-three, this style of restaurant refers to the meals served for one price – a choice of meat plus three vegetables. Proprietor Jack Arnold stands behind the buffet counter and barks your order as you slide through the long line. One caveat: the seating is family-style, so you may have to share a table. The best comedians in the world frequent Nashville’s only comedy venue, Zanies Comedy Night Club, located at Douglas Corner. For more than two decades, Zanies has been making Nashville laugh with headliners like Jerry Seinfeld, Jay Leno, Tim Allen, Jeff Foxworthy and Paula Poundstone. Performers appear Wednesday through Sunday. Zanies offers non-smoking shows, is an 18 and older crowd and requires a two-item food or drink minimum. 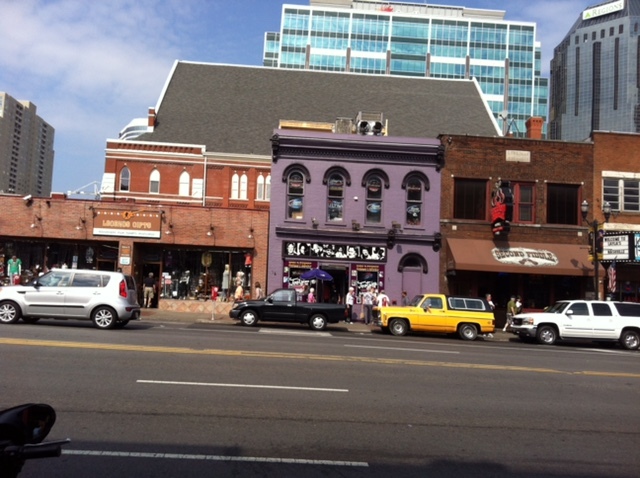 Across the street from Zanies is Douglas Corner Cafe one of Nashville’s most popular listening venues. The venue boasts live music six nights a week ranging from country to rock to Americana, and many of the early shows have no cover charge. On some evenings, the stage is even disregarded when songwriters pull up chairs and perform “in the round” in the midst of the audience. 12 South: One of Nashville’s newest neighborhoods, 12 South is the up-and-coming place to live and socialize. With the city investing in sidewalks and street lighting, 12South has begun to take shape over the last several years. You can grab coffee, score some new guitar strings, stock up on garden mulch and grab a bite to eat all in the course of an afternoon on foot. Start a unique shopping adventure at Katy K’s Ranch Dressing, a one-of-a-kind boutique, offering vintage Manuel suits and spangled gowns by Nudie’s of Hollywood. Crammed into this tiny store, customers can look through designer cowboy boots, belt buckles, cowboy hats and Western shirts – all cleverly called “Ranch Dressing.” You know you are there when you see the shapely cowgirl cutout on the building’s stone facade. Shop for eclectic housewares at Sadie B. and 12th South Mercantile or for music and music accessories at the Corner Music Store. After walking around this charming neighborhood, pamper yourself in one of the chic salons like Trim Classic Barbar or Suite 1. East Nashville is home to several historic neighborhoods that are finding themselves in the midst of a renaissance. Its low-key vibe and neighborly personality make this community a great place to escape without leaving town. Although over 600 structures were destroyed in the great East Nashville Fire of 1916, the area still boasts an eclectic mixture of antebellum buildings. Historic Edgefield is one of only two locally zoned “historic preservation districts,” requiring that all new construction, additions, demolition, alterations and fences be approved by the Metro Historical Commission, giving the neighborhood a timeless feel. Additionally, the area has been featured on the HGTV network during Bob Vila’s “America” and in HGTV’s “Our Place” series. The Lockeland Springs Historic Neighborhood is a turn-of-the-century streetcar suburb two miles northeast of downtown Nashville. The tornado of 1998 ripped through this historic neighborhood destroying or damaging at least 300 homes, but the neighborhood has rebounded stronger than ever with renovations, additions and new construction. Edgefield and Lockeland Springs are linked by a bustling retail area known as Five Points. Several restaurants, a coffeehouse, hardware store, city library and neighborhood watering hole anchor this thriving area that is seeing more and more commercial investment each month. Within East Nashville, sports enthusiasts frequent the Edgefield Sports Bar and Grille. A taste of New Orleans and great live music can be found at the French Quarter Cafe. For folks craving delicious soups or a sandwichs for lunch, take a trip to Edgefield’s Tolar House Bakery. Radio Cafe, truly an urban pioneer, is open for special music events. For a taste of old Mexico, visit the Rosepepper Cantina, where guests may find themselves being serenaded by a Mariachi band. Goodies are baked fresh each day at Sweet 16th, a great local bakery that makes scones, muffins, cakes, and Mamarangues, a mixture of chocolate and toffee. Margot Cafe and Bar, housed in an antique gas station turned brick-and-timber gourmet restaurant, has quickly become one of Nashville’s most outstanding restaurants. Elliston Place: Elliston Place is located just west of downtown near the Vanderbilt University campus and has a variety of options for dining and nighttime entertainment. As one of Nashville’s young, trendy neighborhoods, small homes and cafes epitomize the tenants of the area. In the heart of the neighborhood is the Elliston Place Rock Block, a block-long section of Elliston Place that is home to six of the loudest nightclubs in town. The legendary Exit/In has played host to many of today’s hit-makers since 1971. This cornerstone of Elliston Place shows no signs of slowing down. The legendary Jimmy Buffett got his start at Exit/In shortly after it opened, as did the young comedian Steve Martin. For those with more alternative musical tastes, walk across the street to The End, a club firmly entrenched in Nashville’s rock scene and definitely worth a listen. No trip to Elliston Place is complete without a stop at the Elliston Place Soda Shop. An institution for seven decades, Elliston is a meat-and-three favorite with a 1950’s decor. Known for its fried chicken and milk shakes, this authentic old-time soda fountain has a faithful following among the locals. Just down from Elliston Place Soda Shop is Elder’s Bookstore, which has been serving Nashville’s literary set since 1930. This modest-looking bookshop stocks some of the rarest of the rare: first edition Faulkner, limited edition Warren, and signed Hemingway. A superior selection of Southern and classic literature, leather-bound volumes, illustrated children’s classics, antique maps and Tiffany-style lamps can all be found here. A little further up the street is another local favorite with the same down-home charm. Rotier’s has been serving up the city’s best cheeseburger for decades. Take your waiters’ suggestion and try their burgers on French bread. Germantown: One of Nashville’s historic neighborhoods is bringing people closer to town to live and play. Germantown, so named because of the influx of German immigrants in the mid 19th Century, was Nashville’s first suburb. The district is one of Nashville’s most architecturally heterogeneous neighborhoods, containing a significant concentration of Victorian building styles. Listed on the National Register of Historic Places since 1979, the neighborhood now is being restored to its original grandeur. Germantown Cafe specializes in straightforward traditional cooking with a subtle twist. Recently featured in Bon Appetit, this unpretentious restaurant serves bistro fare with the menu changing seasonally. Nearby in a restored Victorian home, Monell’s is a staple of the Nashville food scene. A traditional meat-and-three restaurant, meals at Monell’s are served family-style. Seated at tables of 10 or 12, patrons pass the bottomless bowls of fried chicken and hot rolls to the diner on their left. Get there early as Monell’s doesn’t accept reservations. Located down the street from Monell’s is the Mad Platter Restaurant. With a menu that changes seasonally, is intimate and inviting restaurant was one of the first local cafes in Germantown. Guests are encouraged to try the signature dessert – Chocolate Elvis, a three-layer terrine with dark and white chocolate ganache and Italian milk chocolate buttercream on an almond graham cracker crust. An area that sports some of Nashville’s most desirable homes, Green Hills also has its fair share of exciting destinations for a night out. The Bluebird Cafe has a national reputation as the place to be heard in Nashville if you want to make it as a songwriter. In this intimate setting you can witness a moment “in the round.” In this format, three or four songwriters sit in a circle, sharing songs and the inspirations behind the music. 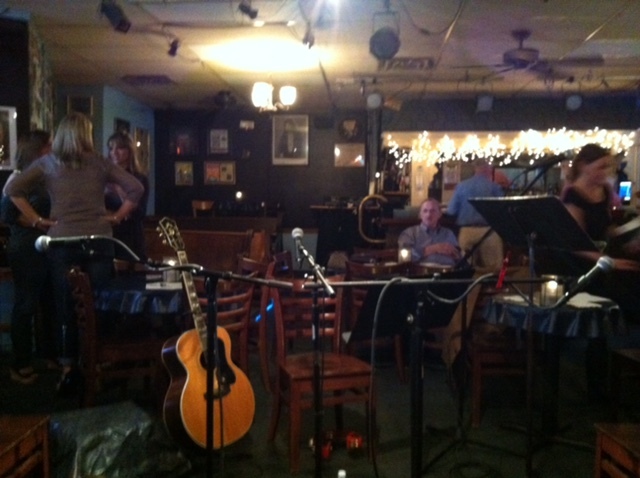 This format has become an important part of The Bluebird Cafe’s tradition. The audience is given a unique opportunity to hear original material from different points of view in a casual, comfortable environment. It’s a chance to discover up-and-coming writers or to hear hits, new and old, from some of the best of the best. The Bluebird serves a variety of alcoholic beverages, and sports a small but interesting menu. The talent that has graced the Bluebird stage includes Garth Brooks, Michael McDonald and Faith Hill. For the jazz lover, look no further than F. Scott’s Restaurant & Jazz Bar. The restaurant has an award-winning menu, wine tastings every Monday and jazz nightly. F. Scott’s serves contemporary American cuisine in a setting that combines the comfort and familiarity of a neighborhood restaurant with flair and sophistication. For the ultimate change in scenery, stop by the Greenhouse Bar. This place really is a greenhouse complete with hanging plants, gravel floor and fountain. Try one of their specialty drinks or step up to the beautifully crafted bar for a beer. A few doors down from the Greenhouse are a couple of watering holes for the sports-minded patron. The Box Seat has TVs everywhere, so you won’t miss your favorite team in action. It gets crowded on game days so arrive early. From boutiques to an upscale mall, some of Nashville’s best shopping can be found in Green Hills. Stores like Bamboo and My Friend’s Place offer trendy, chic clothing lines in a boutique setting. Anchored by Dillard’s and Macy’s department stores, The Mall at Green Hills features such stores as Tiffany & Co., Louis Vuitton, Sephora, Kiehl’s, Pottery Barn, Sigrid Olson and many others. If hungry customers are hoping to rub elbows with Music Row execs or simply want to eat something from the extraordinary half-price late night menu, look no further than the venerable Sunset Grill. A long-time staple of Nashville’s dining landscape, Sunset Grill offers a great wine menu, inspired entrees and a cool atmosphere. Across the street is the popular Cabana, a versatile restaurant and bar. This mellow restaurant morphs into an upscale hot spot with live music and DJs in the evening. Behind Sunset Grill is the trendy Jackson’s Bar and Bistro. Specializing in French Bistro style food as well as eclectic European fare, this neighborhood bistro encourages patrons to come as they are and be themselves. Across the street is arguably Nashville’s most famous restaurant. A Nashville breakfast tradition, the Pancake Pantry boasts a menu with 21 pancake selections. Combining some surprising ingredients with family flapjack recipes, the ending results are pancakes that melt in your mouth. (Try chocolate chip or sweet potato flavors.) Saturday and Sunday mornings are especially popular at the Pantry, and the waiting line usually wraps around the building down 21st Avenue. For Parisian-style fare, Provence Breads and Cafe offers gourmet sandwiches and decadent baked goods in a relaxed, cozy atmosphere. In the center of the Village is one of Nashville’s local breweries. Boscos brews handcrafted beer and has won many awards for its Tennessee original Flaming Stone beer. There are more beers on the menu, too, suited to every beer taste imaginable, plus a variety of pasta dishes, oven-fired pizzas and great sandwiches. Sam’s Place is a fully functioning sports bar with great food. A bit younger crowd than at the other Village spots, Sam’s is a place where patrons can feel comfortable dressed in a t-shirt and jeans. Across the street from Sam’s Place is Fido. This funky coffeehouse is the heart and soul of Hillsboro Village. Fido draws a mix of Vandy students, Music Row execs, musicians and neighborhood locals. Coffee is the main attraction, but large sandwiches and all-day breakfasts are crowd pleasers. Hillsboro Village may seem small, but unique boutiques and specialty stores abound. From industrial espresso makers to egg timers, Davis Cookware carries a myriad of kitchen items. BookMan/BookWoman Used Books offers more than 150,000 used volumes and a search service to help you find what you need. You can even turn trash into treasure at Nashville Lights, where almost anything can be made into a lamp. Pangaea, Fire Finch and A Thousand Faces each offer their own varied selection of art, jewelry, office accessories, furniture and gifts. For unique gifts or rare finds, these stores are a must. Posh Boutique offers a wide selection of the latest styles with prices ranging between $10 and $200, accommodating all budgets. Even glasses aren’t spared by this neighborhood’s chic style. SEE (Selective Eyewear Elements) features unique European designer eyewear. 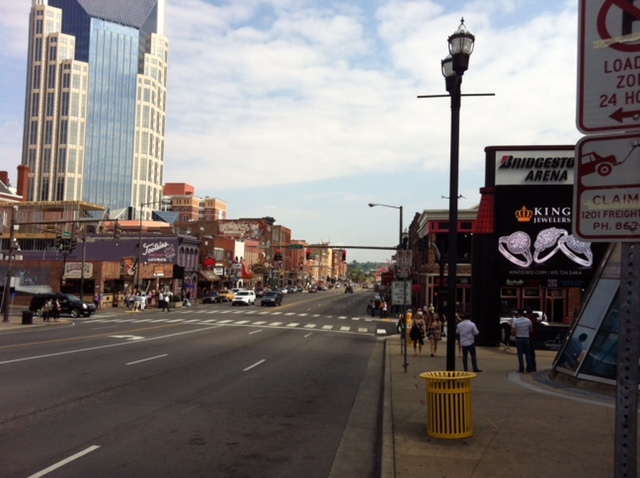 Every city seems to have a midtown, and Nashville is no exception. The funny thing is, nobody here ever calls it that. If you were to ask a local where Midtown is, you might receive some confused looks. But ask about places like South Street, Bound’ry or Virago, and they’ll be able to tell you exactly how to get there. A Nashville favorite for years, South Street Original Crab Shack & Authentic Dive Bar is known by locals as simply South Street. This Cajun restaurant serves large portions, spicy entrees, seafood and barbecue. With a ‘convertible’ dining room and an open upstairs called the Treehouse, South Street is perfect for a casual atmosphere on a warm southern night. A few doors down and a world away, the Bound’ry is one of Nashville’s most unusual places to spend an evening. Dining at the Bound’ry is a true experience. The upscale global cuisine is delectable, and the restaurant itself is a work of art. The decor is best described as a Salvador Dali painting gone wild. It is eclectic and beautiful at the same time, combining the five senses into one grand experience. The Broadway Brewhouse is a place for the true beer connoisseur with over 70 beers on tap and another 100 or so in the coolers. Attached to the Brewhouse is the very affordable Mojo Grill. Specializing in Cajun-inspired dishes that will fill your stomach without emptying your wallet. One of the hottest spots in Midtown is Virago. This restaurant is rather upscale with a very contemporary menu. Patrons can choose to lounge around the sushi bar for a more casual dining experience or sit in the main dining room surrounded by Paul McLean’s artwork. Part sushi bar, part upscale restaurant, part late night cocktail lounge, Virago plays all of its roles well. Noshville is a New York-style deli that offers a broad menu of deli favorites like the Reuben and corned beef. Try one of the exceptionally large servings of dessert or the sour pickles found on every table. With a second location in Green Hills, Noshville brings a bit of the Big Apple to the Music City. Southwest of downtown Nashville lies the quaint and quiet neighborhood of Sylvan Park, a beautiful setting with homes and businesses that run the gamut from funky to upscale. Here 1920’s clapboard homes and 1930’s stone bungalows look right at home together. The neighborhood’s namesake restaurant, Sylvan Park Restaurant, has been serving Nashville residents old-fashioned Southern cooking for more than 50 years. The restaurant’s continuing popularity is demonstrated by the proliferation of Sylvan Park restaurants around the city. Called a “meat-and-three” this style of restaurant refers to the meals served for one price – a choice of meat plus three vegetables. Across the street, Caffe Nonna is a cozy, neighborhood Italian bistro. Seating 45 people, the cafe has an intimate ambience with servers who maneuver deftly between wooden tables. Next door to Caffe Nonna is Park Cafe, comfortable and quirky; this fusion eatery serves creative dishes with influences from Asia, India, France and Italy. Known for its upscale dining, Park Cafe has become a top choice for many of Nashville’s prominent faces. At The Produce Place, one can find a wide selection of fresh food and produce, including organic and gourmet items. This small establishment offers fresh bread from local bakeries and a varied selection of fine cheeses as well as preservative-free juices and soups.